In This Drop: What Will You Discover Today? In recent weeks, cortisol and the effects of stress were on the cover of Newsweek, oral diagnostics was the focus of another major CNN news report, and hormones were the central topic of the Oprah Winfrey Show. In the U.S. experts are expounding on the association between salivary analytes and everything from weight gain to the ability to have healthy relationships. At Salimetrics we are simultaneously buoyed and burdened by this. After 20 years of research involving development and integration of salivary assays into behavioral and health science, we think the field is ready to begin to translate what we have learned so it can benefit the world. 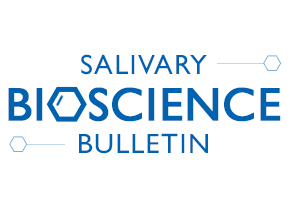 We suspect you concur and we’re inviting you to assist us in speeding the research lifecycle by participating in our new initiatives to advance salivary analyte-based research: The Salivary Bioscience Bulletin, Spit Camp, and a network of Centers and Laboratories of Excellence (more below). Advisory: Correcting salivary alpha-amylase activity for flow rate. Salimetrics advises that saliva flow rate data should be collected when measuring alpha-amylase. *Salimetrics provides this information for research use only (RUO). Information is not provided to promote off-label use of medical devices. Consult full text of article. Salimetrics and the German stress contract research organization DAaCRO (Diagnostic Assessment and Clinical Research Organization) have announced a collaboration to advance stress-related research. DAaCRO is studying how pharmaceuticals, nutritional supplements, functional or novel foods and health care influence stress. The company integrates salivary sampling in all its study protocols. An increasing need for prevention of stress-related health complaints and an increasing number of studies on many types of stress-related disorders such as anxiety, burnout, depression, heart disease, diabetes, etc. have created a good basis for establishing this collaboration. For more information, please visit our COE Lab Page. Salimetrics and The Laboratory of Molecular Neuroendocrinology (LMNE) at the Institute of Experimental Medicine (IEM) – Hungarian Academy of Sciences will soon launch a reference facility to provide cost-effective salivary analyte testing and consulting services for researchers in Eastern Europe and the Hungarian academic community. The LMNE focuses on basic stress research that aims to understand the neurobiological background of stress-related diseases. The IEM is committed to basic research, primarily in the field of neuroscience, including studies on neurotransmission, learning and memory, behavior, ischaemic and epileptic brain damage, as well as the central and peripheral control of hormone secretion. Look for more information on our website. Salimetrics, Anglia Ruskin University-Cambridge, and University of Westminster-London are collaborating in an effort to establish a research consortium and laboratory center to provide cost-effective salivary analyte testing services to researchers and the biomedical industry throughout the UK. Look for more information on our COE Lab page. Salimetrics hosted its most recent Spit Camp U.S. training session on February 6th-7th, 2009 at its facility in State College, Pennsylvania. These low-cost workshops are designed to provide investigators in the behavioral, social, and health sciences with a basic understanding of saliva testing. Attendees meet with Dr. Granger for a mixture of lectures, discussions, and personal sessions, followed by hands-on experience in saliva collection and assay techniques with laboratory personnel. To insure individualized attention, each two-day session is limited to six participants. Our Spit Camps have proven to be very successful, and the sessions planned for March and May are already full. Additional camps are being added on June 25th-26th, and August 6th-7th. In order to make Spit Camp available to people who are unable to travel to State College, Salimetrics is planning to make condensed Spit Camp sessions available by video streaming technology. We are also working on plans to stage live, one-day sessions in several locations around the U.S. and Canada. Watch our website for announcements and information. Salimetrics has also established a Face Book page where Spit Camp attendees may communicate about their research. Hellhammer, D.H., Wüst, S., Kudielka, B.M. Psychoneuroendocrinology 34(2) (2009): 163-71. Highlight: Salivary cortisol has proved to be a valuable biomarker, but dissociations can sometimes be observed between salivary cortisol levels and other measures of HPAA-related endocrine activity. Violence exposure and cortisol responses in urban youth. Kliewer, W. International Journal of Behavioral Medicine 13 (2006): 109-120. Highlight: Exposure to violence lowers basal cortisol levels and increases cortisol reactivity. Comparison of total and salivary cortisol in a low-dose ACTH (Synacthen) test: Influence of three-month oral contraceptives administration to healthy women. Šimunková, K., Stárka, L., Hill, M., et al. Physiological Research 57(suppl. 1) (2008): S193-99. Highlight: Basal and ACTH-stimulated cortisol levels in saliva show no change after oral contraceptive use, making salivary cortisol the preferred method for evaluation of adrenal function disorders. Measurement of cortisol in hair: Some recent investigations. Highlight: Studies are exploring the use of hair analysis to provide a retrospective record of cortisol levels in the body.